Are you planning for your next abroad getaway with the whole family? Pack each bag light, look after required medications, prepare daily budget, consider the travel time, check the travel tour plans and confirm the accommodations are just some of things that you have to take into account. You may add lots more to this list but considering the best destination for reaching your family’s vacation happiness is very important. One sure way to ensure your adventurous and exciting experience is to think about preparing for a trip to Karachi. Yeah, why not visiting this city of lights or also known as “The City of Quaid"? 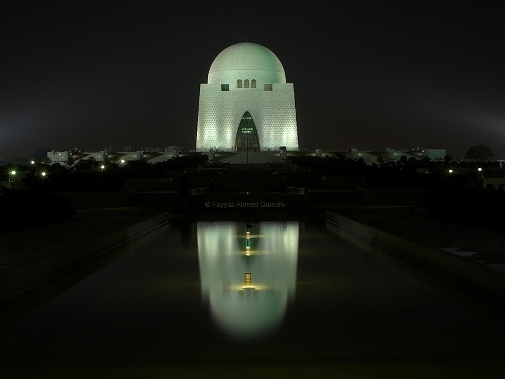 Locally named “The City of Lights” for its outstanding night view, Karachi is also famous as “The City of Quaid” since this city was the origin and death place of the Great Leader Quaid-e-Azam Muhammad Ali Jinnah, the founding father of Pakistan country. 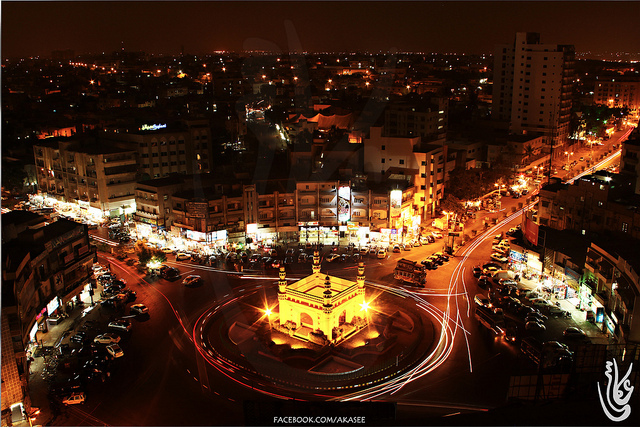 Located at the southern edge of the country, Karachi is the largest city of Pakistan (3,530 km2). Upon the Pakistan freedom it had ever become capital of the country. Up till now it offers not only as the capital of Sindh province; but also as a major sea port, the financial and cultural capital of Pakistan, and the center of social and educational activities. Karachi becomes one of the most preferred destinations of people from throughout the country who want to achieve higher education and better occupation. As a home of broadly varied residents, this city provides various amenities and shows interesting diversity. 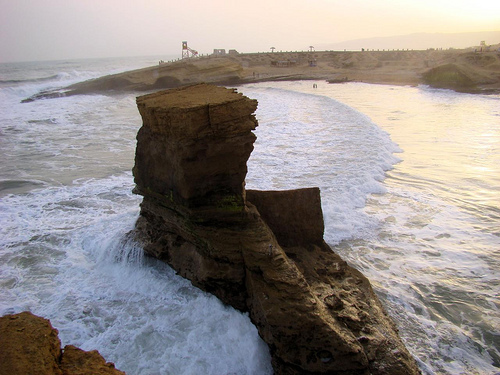 For international tourists, Karachi offers many things to attract you to come visit. I myself haven’t yet visited this city, so based on some trusted online references; I compile here some top reasons why you should consider choosing Karachi for your next family trip destination. Whether you and family members are history enthusiasts, shopping fans, food addicts, nature or beach lovers; you’ll find places that suit your interests. 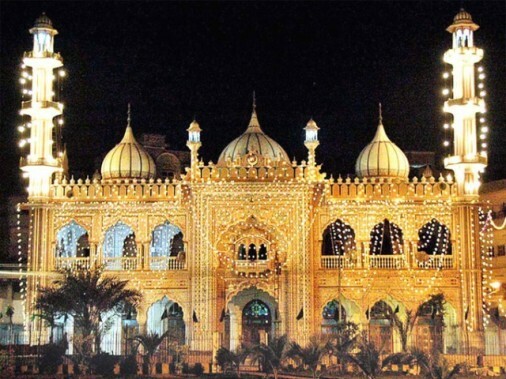 This pure white marbled mosque is one of the main tourist attractions in Karachi. 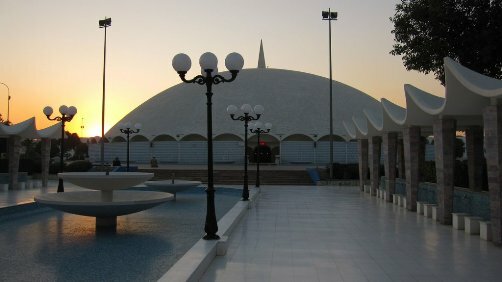 Built in 1969 and located in Defence Housing Society area, the mosque has a very unique single-dome that makes Tooba Mosque often claimed as the largest single-dome mosque in the world (also the 18th largest in the world). The prayer hall in the center part can hold 5,000 people. Situated in Saddar Town, this mosque is also inside the Aram Bagh Park. The mosque location surrounded by apartment buildings and shopping centers. -the Mausoleum of the Quaid- e-Azam Muhammad Ali Jinnah. This place should be visited before dusk. It offers a garden full of flowers, sunset moment, reflections from the pool and gorgeous Mausoleum decorated by lights from all directions. 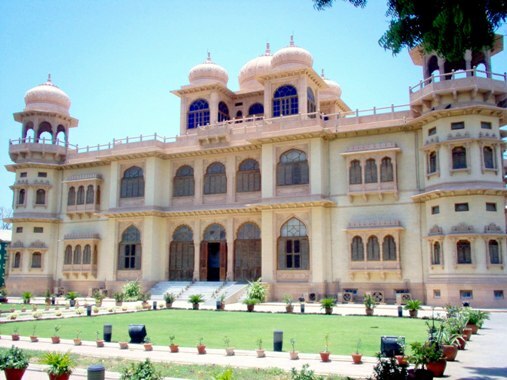 -Mohatta Palace Museum & Gallery where Fatima Jinnah (the sister of Jinnah) lived in after the independence. This building is the birthplace of Quaid-e-Azam Jinnah. An early Islamic cemetery -located 29 km east of Karachi- which is extraordinary for their detailed sandstone carvings. 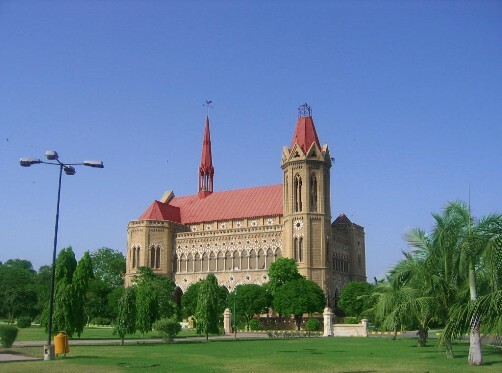 -Other historical wonders include the Empress market and British Raj architectures like Karachi Port Trust, Sindh High Court, Karachi Cantonment Railway Station, and Frere Hall. This hall was built in honour of Sir Henry Bartle Edward Frere who was known for supporting economic development. 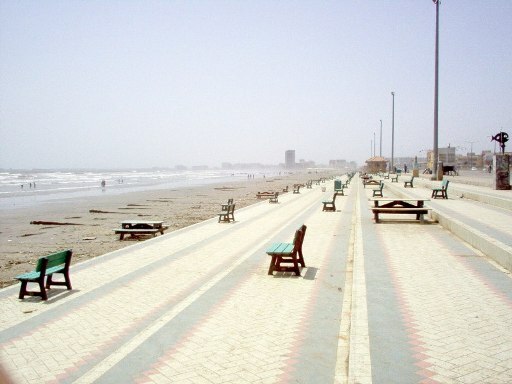 Beach lovers will surely love shiny sunny beaches in Karachi. 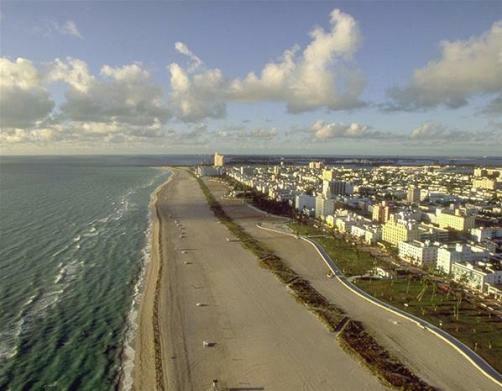 Actually, those beaches are the main tourist attraction. Have you already known that Karachi is one of the most popular beach cities in the world? The coastal beauty becomes awe-inspiring after nightfall when the coastline is spotted by white streetlights. There are much wonderful seashore near city such as Clifton Beach, Manora Island, Sandspit Beach, Hawke’s Bay Beach, Paradise Point, French Beach, Cape Monze, and Nathiagali Beach. Moreover, every beach has its own specialty. Clifton, the most popular beach in Karachi is well-known for its silver sand. Manora has the long sandy beaches alongside the southern edge of the island which unite into the Sandspit beaches and then expand several kilometers to the beaches at Hawke’s Bay. 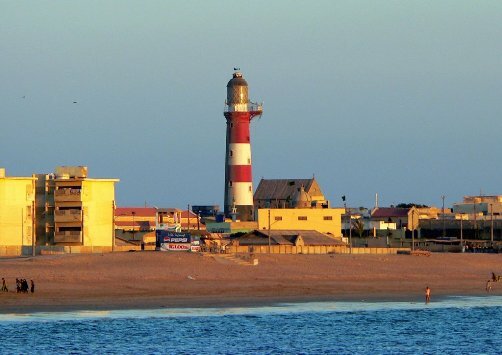 You can see the tallest lighthouse in Pakistan at the southeastern end of Manora Island. Hawke’s Bay is not only an attractive beach but it also serves as the breeding ground for sea turtles. The Paradise Point amazes visitors with its rock cape and a natural rock arch. You can find out underwater world more with scuba diving. Grand French Beach is famous for its clear blue water view and isolated location. This beach is perfect for those seeking privacy. 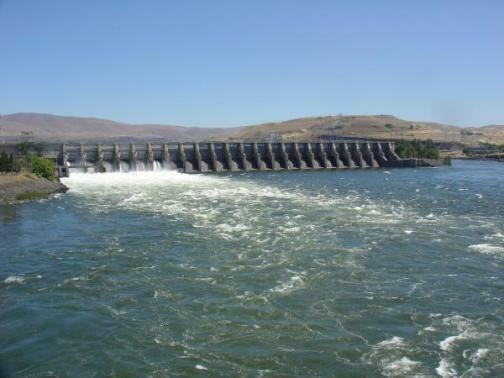 Located 56 km away from Karachi on Sindh and Balochistan border; Hub Lake is an artificial reservoir that could be an ideal place for bird watching, fishing, swimming and picnic with your family. 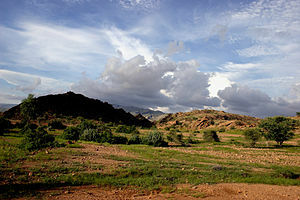 Near the lake you can find the Kirthar National Park where becomes home of some types of wild animals. Inspired by its mixed culture, Karachi cuisine contains of tastes from the four provinces of Pakistan. Additionally, you can find every dish from around the world in Karachi. Shoppers will love Karachi since they can get various products from all over the world at low prices. You are in the right place to enjoy good deals and value of money. This city provides you with lots of street markets and shopping malls. So, when the best time visiting Karachi? Normally, the best season to visit Karachi is from November to end of March (winter months). Since summer temperatures (from the end of April till the end of August) are approximately 30 °C to 36 °C, the winter months (from November till the end of March) are the best time to visit Karachi. Most tourists visit Karachi during the month of December.